When it comes to the best snare drums for metal style music, you are going to want something loud, punchy, and in-your-face. Most wood snare drums just won’t cut it in this regard, so your best bet in terms of material is going to be brass or steel. Steel can really cut through the mix with its clear highs. The midrange and low end are pretty even, making this a well-rounded material for many styles. Brass has a very dark sounding tone and attack. It’s very open sounding, has a huge low-end, and it’s one of the most vibrant tones you can get. Durability is another thing to look out for. 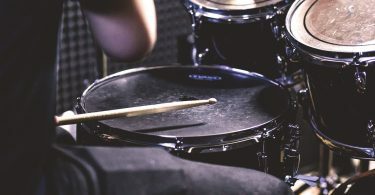 If you are playing a heavy style of music, chances are you’ll be hitting the drums pretty hard and potentially doing a lot of rimshots. You are going to want something with great construction quality and proven reliability. Let’s take a look at some of the best snare drums for heavy metal. If you are looking for an indestructible beast of a snare with a monstrous crack, this is it. In case you don’t know who Joey Jordison is, he’s a metal drumming legend. He was the iconic drummer and co-founder behind Slipknot until 2013 when he parted ways in pursuit of other projects. He has played with groups like Korn, Ministry, Rob Zombie, and Murderdolls and his drum style and influence continue to echo throughout the metal world. Joey is known to be a Pearl fanatic, and eventually teamed up with them to create his own iconic snare drum. ​It has all the high pitched bite and attack of a piccolo married with the thunderous, fat tone of a deep snare. It’s the perfect combination for those looking to have a snare that stands out and takes command. The 13" x 6-1/2" 1mm steel shell is great because it won’t warp, and it can hold high tunings with ease. It comes with black Super Hoops, double-ended lugs, and the SR-017 strainer features a vertical pull action for minimal tension. The hoops sit pretty close to the head meaning that rim shots are super easy, so replicating the sound of Joey Jordison should be a piece of cake once you get this tuned up. It comes stock with a Remo coated batter head, however it can be a little ringy for some people straight out of the box. You might want to consider swapping the head with something a little more muffled, or use some moon gel. This is an iconic, classic drum that’s been featured on more hit recordings than you can imagine since the 1960’s. It’s super well rounded, great for all styles of music, and it’s built to last which is important when playing metal. The LM400 features an aluminum shell with a beautiful chrome plating, and the Imperial lugs give it an elegant look as well. It’s known to be a very loud snare with rich overtones. For some people this is ideal, but if you aren’t one of those people then a new snare head or some muffling should clear that right up. ​The first models produced in the 1960’s had a brass shell, but in 1964 the company switched over to aluminum. Some notable players of the LM400 include John Bonham, Steve Gadd, and Ronnie Vanucci Jr. This one gets my vote for most versatile snare drum. One of the reasons that Ludwig is such a well known drum company is because of the Black Beauty. The construction of this drum is flawless. It’s made of a single sheet of brass which is machine-drawn, and then spun into a seamless beaded shell. The finish on it looks amazing, especially along with Ludwig’s Imperial lugs. It features a triple-flanged hoop for a great side-stick sound and killer rim shots. From jazz, to rock, to the heaviest metal, this snare drum will cut through any mix with ease and fit right in due to its versatility. If you are looking for pure projection from a drum, the Black Beauty is hard to beat. Pork Pie Drums was started by a guy named Bill Detamore in 1987. He used to make drums for people around town, and word of his excellent drums spread around quickly. People would bring their drums to him to get upgraded, and the company quickly expanded after that. ​All the drums in the Pork Pie lineup are named after pig related names - hence the Little Squealer. The Pork Pie Little Squealer Black Brass Snare is an affordable take on the more expensive Ludwig Black Beauty listed up above. It features a 1mm thick brass shell with flanges on the inside which give the drum a nice warm pop. Triple-flanged hoops come stock. They are a bit heavier than most, meaning the drum will stay in tune longer and you’ll get a very nice crack when hitting rim shots. The lugs are very thin and lightweight, so it doesn’t add a lot of extra mass and weight to the drum. This really allows it to breathe and sound nice and open. This Pork Pie comes with Remo Ambassador heads (coated on the top) along with 20 snare wires which means it’s going to be really great at picking up small sensitive hits like ghost notes. The Black Magic Snare is available in a variety of sizes, but the 8 x 14 inch size is absolutely perfect for rock and metal. It has a huge full-bodied sound and a very powerful attack. It features a seamlessly welded black nickel plated brass shell which Ludwig pioneered in the early 1920’s, and comes with matching tube lugs and die-cast hoops. I’d say it’s a more crisp and open sounding version of the popular but expensive Black Beauty, also made by Ludwig. Heavy-hitters will fall in love with the sound of rim-shots on this beast. It’s powerful, projects well, and has a well rounded tone that isn’t harsh on your ears. 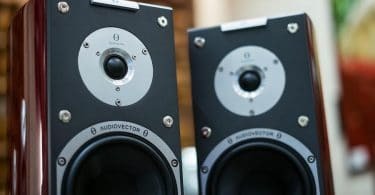 If the Black Beauty is a little out of your price range or if you need a more focused sound, definitely check out the Black Magic. Pearl Ian Paice Signature Snare Drum 14 x 6.5 in. ​One of the forefathers of ​rock drumming, Ian Paice was the drummer of Deep Purple throughout the entire life of the band. He helped create classics such as Space Truckin', Hush, Fireball, and Smoke On The Water. After the group dissolved he went on to drum for Whitesnake, and then in 1984 Deep Purple reunited again and they've been going strong ever since. Ian's signature snare features a beaded chrome SensiTone steel shell, chrome/brass tube lugs, and tension locks which allow for secure tuning. The sound of this drum has very bright overtones and huge projection. It actually comes with an internal muffler as well, although it can be taken off if desired. Finding a snare that’s suitable for playing metal shouldn’t be too much of a problem if you can afford to go up to the mid-high level price brackets. They are all going to have excellent durability and tones, and you should be able to sculpt the sound to your exact liking with a few tweaks such as replacing the drum head with one you prefer. It’s not really worth going with a super cheap snare for something like metal in my opinion. The heavy pounding you’ll inflict on your drum will fully bring out its character and tone, and the cheaper the snare is the more that cheap sounding tone is going to come through. No amount of drum heads or muffling will hide that. 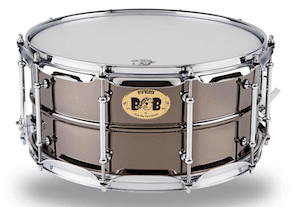 It’s totally worth saving up for a higher end snare drum since it will be the core of your drum set and will help drive the band. Just keep an eye on how many other styles of music you play. If you switch it up pretty often between jazz and metal for example, you might want to choose a snare that is well rounded and can handle multiple styles like the LM400 or the Black Beauty instead of pigeon-holing yourself with a snare that is really only suitable for heavy music.